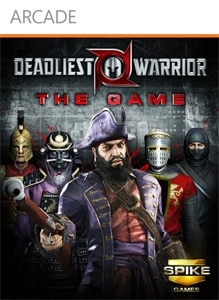 Spike TV’s hit show arrives to Xbox Live Arcade and provides a solid fighting engine and mechanics, while staying true to the warriors in the show. 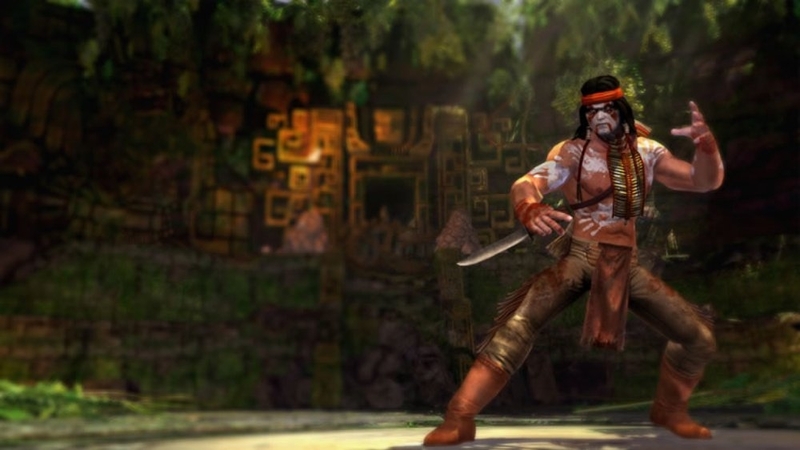 Eight of the best are here with the Ninja, Spartan, Centurion, Viking, Apache, Knight, Samurai, and Pirate making up the default roster of fighters, with more promised down the line as Downloadable Content. 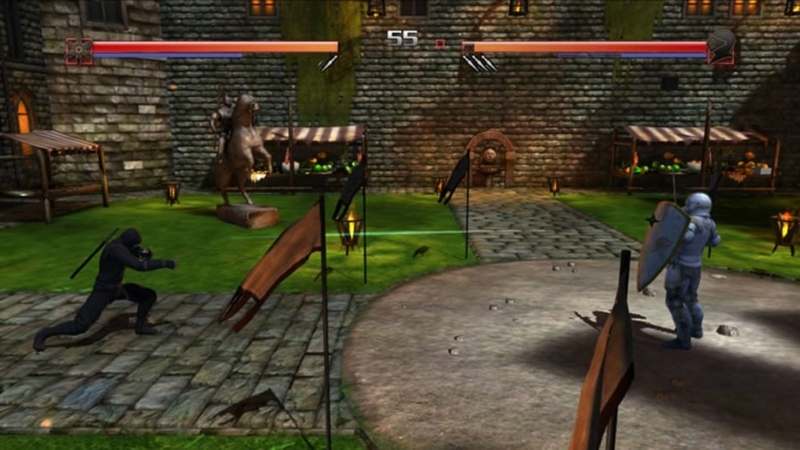 Combat is very deadly, and a great game for fans to play. At their disposals are Long and Mid Range attacks, projectiles to use, and a special move for finishing their opponent in brutal fashion. The limbs will go flying in this game, and matches can end in an instant if the right moves are used. These elements make this a fast paced fighting game, and the tides are able to be turned in an instant, so players of all skills have a good chance to rack up wins and have a great time. 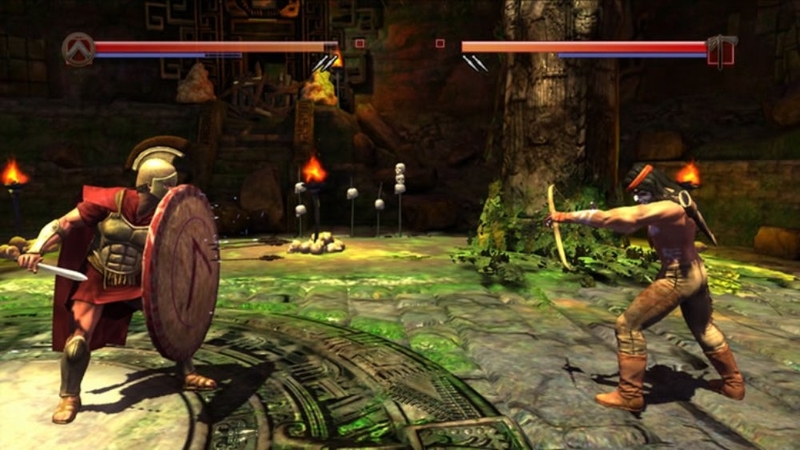 Game-play consists of fighting in a few different modes: Arcade, Survival, and Online and Local battles with friends and strangers ready to tear you apart. You’ll need the best equipment you can get, so there are a few special stages that upon completion will give you better weapons. Each time you go through arcade, you will fight all eight warriors in the game, and each have distinct advantages and disadvantages that the show always details. Controls are pretty simple too, with the A button offering low attacks, B to use projectiles, Y to use High attacks, and X for Quick attacks with your weapon. 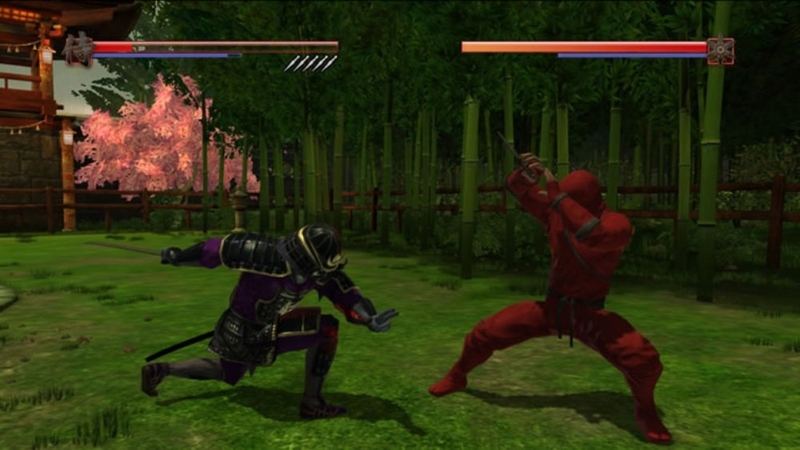 All the warriors offer combo’s to use, and can set up some great moves to quickly defeat opponents. With a game like this balancing has to be just right, and for the most part it is. 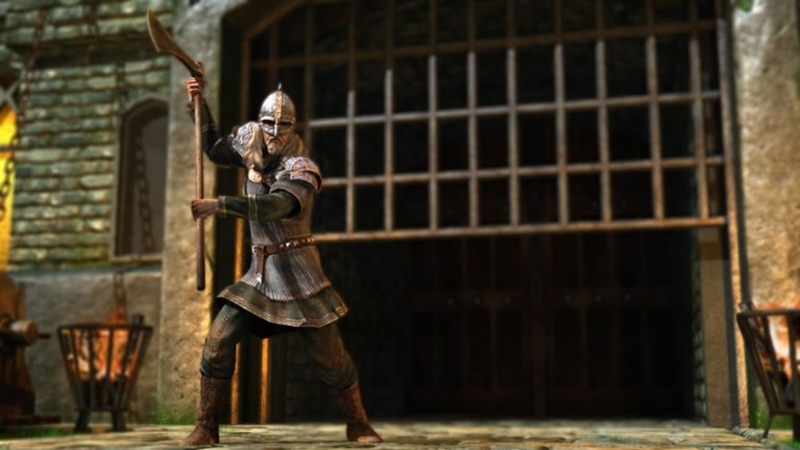 Most complaints so far have been toward the Ninja’s speed and deadly A,X,Y Combination with his secondary weapon, and also the Pirate’s weapons. I hope that these will be addressed via a patch down the line, but in the mean time, try to create space between your self in a opponent and Counter their moves to stop them. Online is fun and is pretty smooth to play, but it’s a little bare-bones as well. There are no fight lobbies, and the tournament system is a little weird, especially when you can quit and keep your place in the tournament intact. Despite the negatives with the game, for $10 you get a great roster of fighters to use, a nice looking game with smooth online play, and a game that represents the show in a good way.